Greenfield Community College head teacher David Priestley was one of only two headteachers invited to speak at a prestigious national conference. 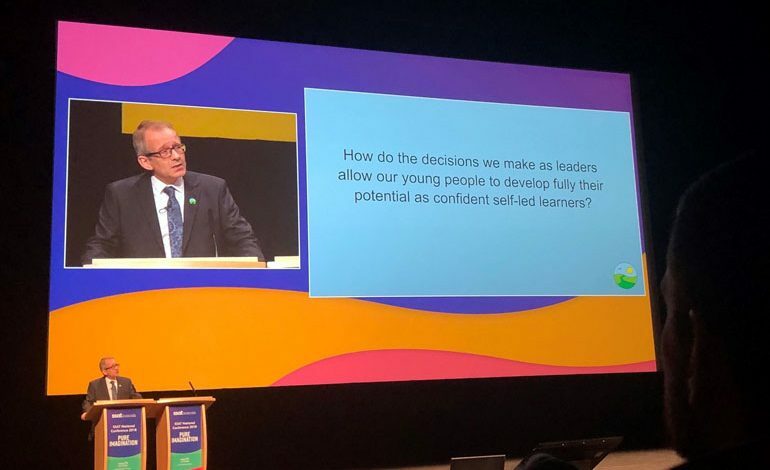 He spoke to more than 1,000 educationalists at the SSAT Conference (Schools, Students and Teachers Network), which was titled ‘Pure Imagination’, at the International Conference Centre in Birmingham. It focused on the qualities needed for imaginative but practical leadership and how a culture of imagination can be embedded within schools. Mr Priestley was asked to take the main stage and share his experience of leadership and how he has successfully used creativity and imagination to develop the Greenfield organisation. 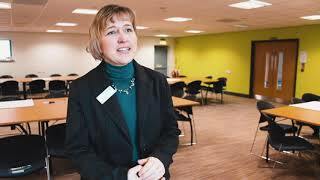 The experience gave the Greenfield head a chance to expand upon the many extraordinary opportunities that are on offer for students at Greenfield Community College and how the journey of the school has made the most of a creative approach to education. “It is important for us to create an environment for learning that is meaningful, engaging, relevant and accessible,” said Mr Priestley. “Which is why we invest significant time in the arts including creative programmes designed by Greenfield Arts that support school improvement.